Here, people are like people from every country, with their little events and adventures. However, if you dwell on each of them, you’ll notice that there is something more. After all, it doesn’t matter if you are a diver, a sailor, a lively child playing pirates, a lighthouse keeper, a shy girl, a shy boy, an old fisherman, a guy like many or – why not? – a fish, a squid or a seagull. The only important thing is that you have a story to tell. 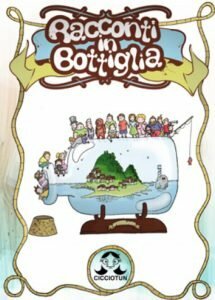 “Tales in a Bottle” is addressed to an audience of all ages: it’s captivating for children because of its humor and its simple and colorful design style but it offers also higher levels of reading for a grown up audience. To tell the stories of Isola Pisola we use different narrative tools: an omniscient narrator who guides us in the events without taking part into it; a character who tells his story in first person; the addition of an occasional and concise voice-over or its total absence in a neutral representation of the story. The protagonists of a story will rarely appear again in the same role, but they will be present in the role of extras in another story. During the whole series, different styles and themes are mixed, mixed together by a few, but effective, common factors: the location, the plot and the exchange of the inhabitants of the Island. From a technical point of view, the series has been entirely produced in traditional 2D animation, with some special effects, 3D animation and compositing, used to simulate particle systems and lighting effects, fluids, objects, perspectives and focal depth. 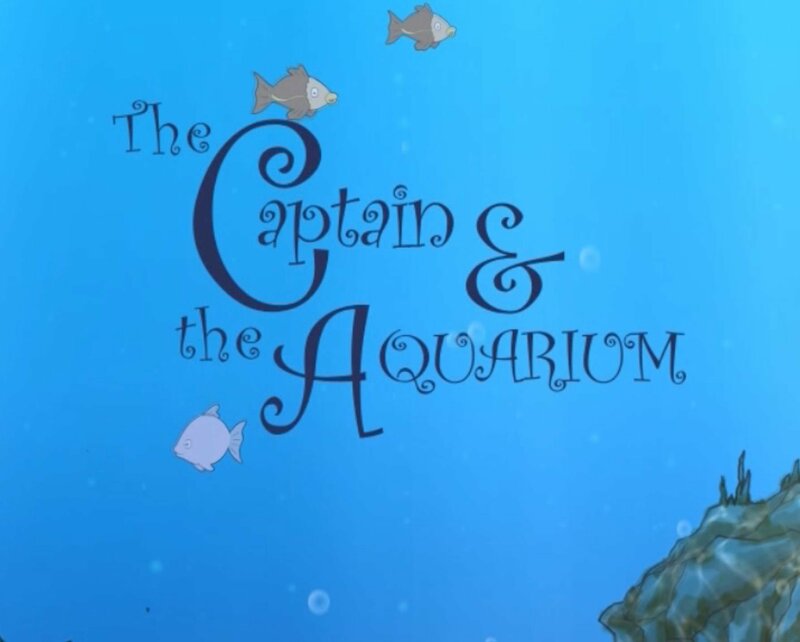 The short film “The Captain and the Aquarium” is the first episode of the series “Tales in a Bottle”. Captain Eddie lives peaceful on his boat, perpetually docked at the Port of Isola Pisola,, surrounded by several junks and a few simple pleasures: piles of books, an old jazz record (the only one in a thousand he always listens to), baseball matches on the radio and a small aquarium, that is his true love. But when the television makes its arrival on the Island, a general enthusiasm spreads like wildfire: Eddie too is stricken about the big news and decides to buy one. And everything seems to be intended to change.